Organic beauty products are becoming an increasingly important part of women's lives. 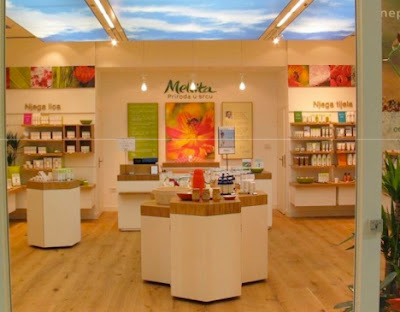 Melvita is a pioneer in the organic beauty industry. Having been a staple in Europe for over 25 years, they debuted the product in the United States last fall available online. Most recently they have opened up stores on the West Coast in Seattle, San Fransisco and Newport Beach California. Melvita was founded in Ardèche, France by biologist Bernard Chevilliat. The company offers products for skin, hair, nutritional supplements and its own line of organic honey. Products include blends of sunflower, lime tree sap and the royal jelly of honey bees. All the products are Ecocert certified. This is France's leading organization that inspects all products listed as organic. Many of our beauty products are filled with products we know nothing about. Women are becoming more aware and interested in products that are not only going to help them feel youthful but also have no long term side effects. Melvita stands to make a big impact in the U.S. with strong sales already since last fall. In Canada the product is currently available to purchase in Bachola, Quebec or online on various beauty and shopping websites.